Love cookies? 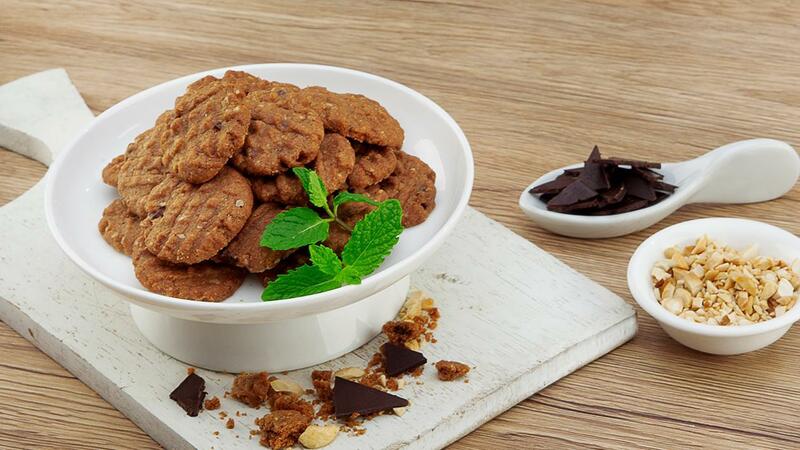 These nuts and choco taste cookies can be perfect for enjoyable moment of your day. Whisk margarine and icing sugar until smooth. Then, add the egg. Mix them well. Put other ingredients on it and mix them well. Take the dough little by little and form it into moon shaped and press it using a fork. Do the previous steps until there is no dough left. Bake the cookies in the oven at 150oC until it’s ready to serve.